"The month of July was a scorcher for more than just weather as Toronto hit another record month for house sales and appears bound for a record year. Leading the way were condos — with sales up 14.4 per cent year over year last month — as the price of low-rise houses, especially detached homes, continued to skyrocket out of sight, according to figures released by the Toronto Real Estate Board Thursday. There were 9,880 house and condo transactions in July — up 8 per cent from July of 2014 and a record for what’s usually a slower month for home sales as buyers head for the beach. The average sale price hit a new high of $609,236 last month, up 10.6 per cent over a year ago, says TREB, with detached homes seeing the highest price growth of all housing types at 13.2 per cent. The MLS Home Price Index Composite Price — which factors out sales at the extreme ends of the spectrum — was up by 9.4 per cent. Some 2,429 condo suites sold in July, up 14.4 per cent over a year ago, and average prices across the GTA were up 4.1 per cent, says TREB. 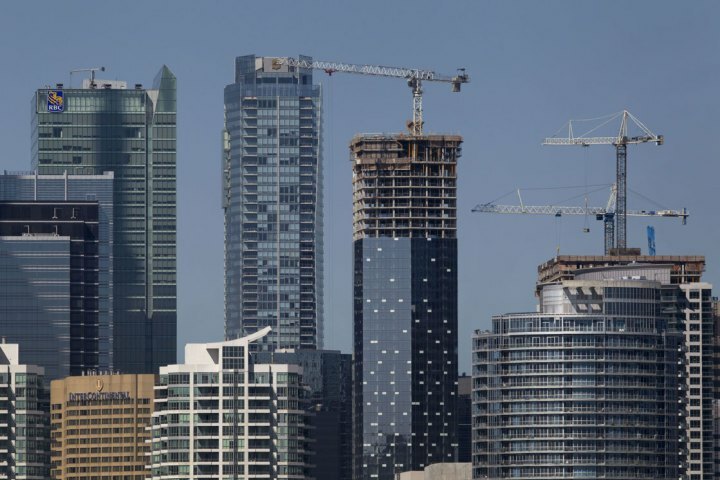 That brought the average price of a condo in the 416 region to $394,504, up 4 per cent year over year, and to $317,564 in the 905 regions, up 5 per cent."